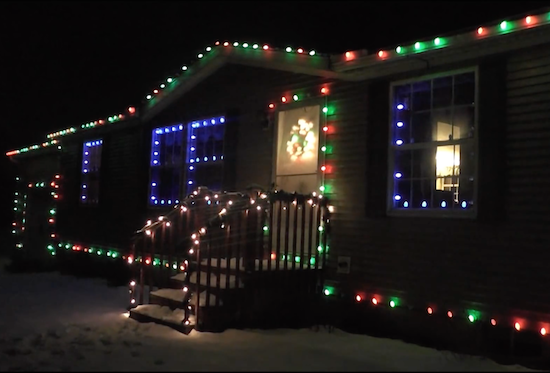 If you don’t want to bother putting up your own lights this year, you can just control Tom Hammond’s! As seen on Good Morning America, Hammond recently put up a Christmas display that can be controlled via a simple online interface between the hours of 5pm and midnight (EST). The setup consists of an Arduino Mega along with a Raspberry Pi running Falcon Player, while the animations were created using xLights. The website offers nine lighting options that anyone can select and play. Thanks to a webcam on Hammond’s property, the page even features a live stream that lets users see the animation they chose in real-time. However, due to the number of people trying to access it, the video is not always available. Want a fun holiday distraction? Check out the Internet-connected lights here! You can also look at these other Arduino-powered dazzling displays to help get you in the festive spirit!